Last week I shared my #OneWord2018 and took a little trip down memory lane of the past few years #onewords. If you didn’t get a chance to check it out, please feel free to do so by clicking on the picture below. I also shared three verses God gave me to go with my word “Vision” for this year. Today’s blog post was inspired by the first Scripture I am studying and focusing on at this time. If you run a business, or lead a group of people, one of the first things you learn in any leadership 101 course or book, is to Know Your Why. To “know your why” is a fancy phrase for knowing your purpose. When we know our purpose and our calling we can stay the course when things get tough. 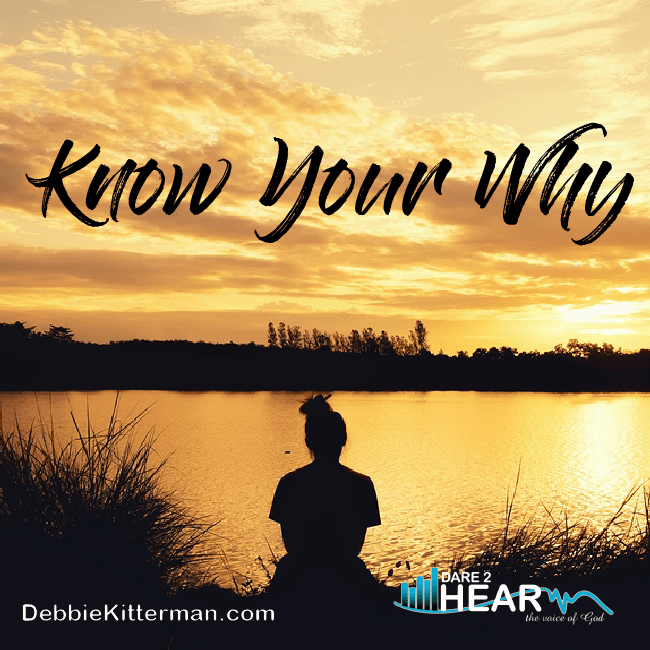 When we “know our why” we are inspired, and it can help to motivate and propel us forward. Knowing our “Why” helps us stay the course when things get tough. As Christ followers our main purpose is to love Him and to love others. It is from this foundation of love for God and others that He will show us our Why! As we wait on God, He will reveal answers to our deep heart question about His plans and purposes for us. First, we must establish a strong foundation of love built on the greatest commandment Jesus gave to us. Wow, have I ever experienced this in my own life. When I don’t have vision, or clear direction, or an understand of something, I run around like a wild person. Running here and there to try to figure out what it is that I am supposed to be doing. My husband has always quoted this funny saying that he jokingly shares when anyone, especially our children when they don’t know what to do. “When in danger or in doubt, run in circles and scream and shout.” It sounds funny, but in reality, that is what we do sometimes, maybe not literally, but figuratively. Focus your eyes on God and He will give you revelation. As we focus our attention and eyes upon God, He will give us His vision and His plans for what He wants us to do. No more doubt, no more running in circles, screaming, shouting, pulling our hair out, or running wild. I love God’s promise to us in this Proverb. As we follow, stick to, believe in the things God speaks to us and the instructions He gives us, His promise is that we will not just know our why, but we will find fulfillment. If so I would love for you to share it below with us all in the comments. As for me, what’s my why? It is to inspire, motivate and encourage others in their walk with Jesus and to help them understand that He is real and He speaks today! If you aren’t sure of your why, I encourage you to start by loving on God and loving others and the vision for the rest will follow. Before we get to the linkup, I have some exciting news for you regarding #TuneInThursday In the coming weeks I will begin to feature a blog post or two or three each week! If you are chosen, I will have an “I’ve been featured” badge for you to grab and post on your page! I hope you are as excited as I am about this new addition for # TuneInThursday … Also, Thank You for joining me each week and sharing about this linkup with your friends. We are fast approaching the one year anniversary of linkups! I am beginning to think of some fun ways we can celebrate. Have you Heard? Elite Blog Academy is about to open their doors for registration. It only happens once per year. The doors open for EBA 3.0 on Monday, March 5th and close Friday, March 9th. Click on the picture below for more information, to get on the waiting list and to be notified when doors open! You will be glad you did. Thanks for hosting the party. Hope your week is wonderful! You are most welcome & Thank you for faithfully being here Jas! Thank you for this great study on the Scripture that God gave you to understand your focus for this year. I love how you brought this verse back to listening to God for His Vision. I have heard this verse misused so often, giving justification for a “forced unity” of a program’s purpose. But, really, as you said, this is all about seeing the purpose of God’s ways in our lives! Thanks for sharing God’s heart with all of us here! Dearest Bettie – – sadly, all too often people abuse the use of Scripture to manipulate or justify what they want to see accomplished. 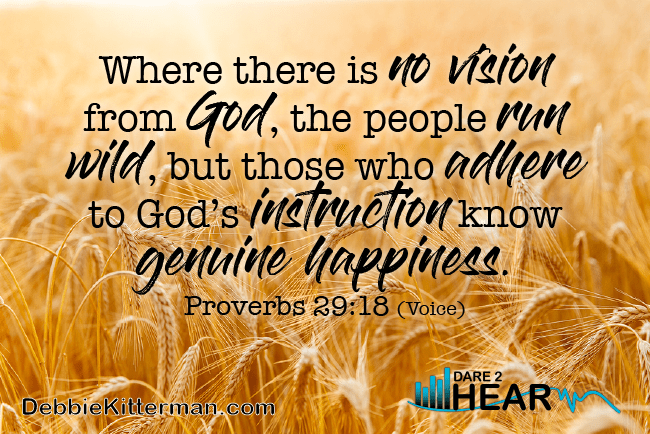 I love The VOice translation for this very purpose – it clearly states – our vision, our purpose should come from God. I will admit, that sometimes I have had my own vision or purpose for doing something, but it I yield myself and look towards God, He has always been faithfully loving to correct me and put the correct vision and purpose in front of me. I am so glad that you were encouraged and loved what I shared today about how God has been speaking to me about this verse this week. I look forward to more revelation He will give. Blessings to you! I believe my why is to share the love of Jesus that brings true healing to our lives. Rebecca – I love your ‘why’! That is so powerful to help bring true healing to people so that through the love of Jesus can they can free. So good! Thank you for sharing your ‘why’ with me. Whenever we start to doubt our purpose, we need to always go back and ask ourselves why. Love this advice, Debbie! Thanks, Lisa! I find it is so important to have the reminder, something to an hold on to that reminds us me of ‘why’ I do what I do, especially when things don’t go as I planned, or when the going gets tough. Such wonderful words and a great post. Thanks for hosting and have a wonderful week. thanks Lisa, Its been great, but busy! Having a why is critical. For me, I want to help people fall in love with God’s Word. There are other “why’s,” but that one is central. Yes, Donna, I agree, it is so critical. Your ‘why’ is such a great one – the Word of God is our compass, our true North, it is where we turn for answers and to know what Jesus would do in situations and circumstances. Thank you so much for sharing your ‘why’ with me today! I am so glad you did. Blessings and may God fan those flames of helping people fall in love with His Word. Exciting news about the link-up! Love your word! Thank you for sharing your “why.” I have way too many words going when I try to explain my why. You have inspired me to work on that this week. I do love embracing life with others and using anything God has taught me to help others along on their journey. I believe we were never meant to do life alone. My why is to glorify God in body, soul and spirit and to encourage others to grow in Christ and to renew their mind with the Word. I do this through mentoring, teaching and writing. Elizabeth – I LOVE it! I love how your “Why” is so powerful, bold and clear! It’s you focused and other focused as well, which is a great balance of how you are being filled up to be poured out to others through the gifts God has given you. Thanks for sharing your ‘why’ ! I may have to steal that verse as one I meditate on too! 🙂 For the blog specifically, I have a pretty clear why – to encourage overwhelmed women who feel like they can never measure up to let go of guilt. To know who they are in Christ, pursue the things that matter to them, and love their life. I know my why, but knowing exactly what this whole blog thing will look like and how much of my time I should invest is something I need to bring before the Lord. How does He want to use me to get His message across? Steal away Jessica! It’s a great verse and a good reminder to help keep the proper perspective on things and keep the main thing in front of you. I love your why and yes, it is pretty clear! I understand completely what you mean about knowing your why, but yet know how to utilize the whole blog thing. I pray that He gives you more clarity as you keep doing what He puts on your heart to do as you go about helping to bring relief to those who are overwhelmed and struggle with feeling guilty! I am really big on the knowing your why question. It is so huge in so many different aspects of life. It is one of the first things that they tell you to define in homeschooling as well as any type of goal that you set. I love that you set one for your life! Thanks Amy! You are so right, knowing “why” does indeed help with many aspects of life. I can definitely see why it is so important to have a clear one for homeschooling as well. So glad to have you linking up with me here. Blessings to you as well.